Unable to locate the evacuation hospital, Doc takes his three wounded charges into a French chateau just behind the battle lines. The owner of the chateau, Count de Contran, wants no part of the wounded soldiers and orders them to leave. But they are captured by the Germans, who take over the chateau as a command post. While making himself at home, the German major helps himself to all the treasures of the chateau, including the Counts beautiful daughter. "The Chateau" is the only episode that allowed Steven Rogers to flex his acting muscles in a leading role. Unfortunatley, Rogers is not up to the task. His peformance of Doc, though soulful and caring, lacks emotional depth. This is tolerable in a supporting role, but when his acting skills are required to carry the episode, it becomes an insurmountable problem. His challenge of conscience about stealing the German Luger is flat and his sensitivity comes across as weakness in a role that demands strength of character and will. 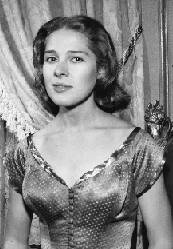 Guest star Joan Hackett fares better in this episode as the unwilling object of Major Richters (Dan OHerlihys) lust. When placed in her moral quandry, she easily conveys to the audience the choices she faces and the difficulty of the decisions she makes. In short time, she is believably transformed from a mousey, scared child dependant on her father, to the strong-willed mistress of the Chateau who sacrifices her life and her heritage for the lives of the Americans and to keep her dignity and honor intact. Frank Sutton puts in a competent, but brief, performance as Cpl. Cording. Sutton is perhaps best remembered from another military series: he played Sgt. Vince Carter for six seasons on "Gomer Pyle, U.S.M.C." This is the first Combat!  episode where neither of the two stars appear. Why isnt Lt. Hanley the wounded officer in this episode? A lovely "coffee table book" with spectacular color photography throughout. More than just pictures, though, has great text that includes the history of Chinon, chronology of the Kings of France, and detailed information about the castles. Three of these chateaux provided background shots for several Combat! episode. 360 pages.